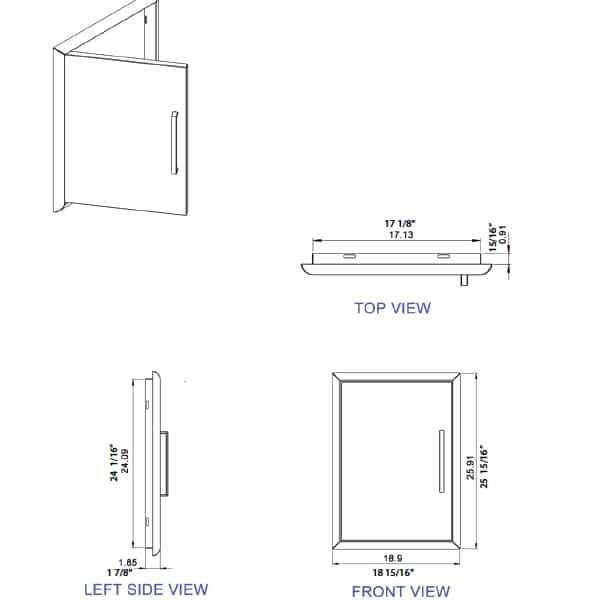 The 26'' x 19'' Vertical Single Access Door slides neatly into a tailored cutout on your grill island or outdoor kitchen cabinetry. It opens to give acecss to the inside of your cabinetry or kitchen island. You'll find your outdoor kitchen infinitely more useful when you have access to ample storage for propane tanks, natural gas lines, cooking accessories, dining accessories and more. 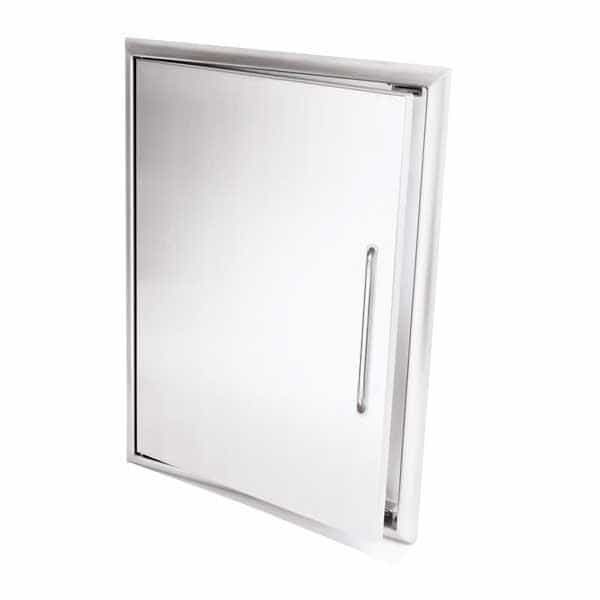 This vertical cutout door is made of outdoor-grade premium 304 stainless steel to keep contents safe from seasonal elements.